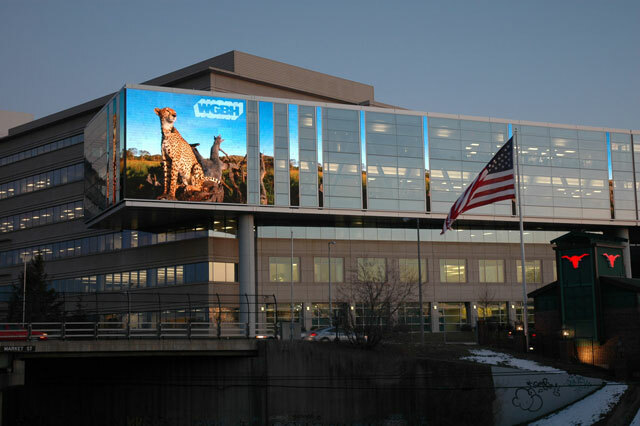 In 2002 WGBH learned that we had to move our headquarters to allow Harvard to expand into Allston. 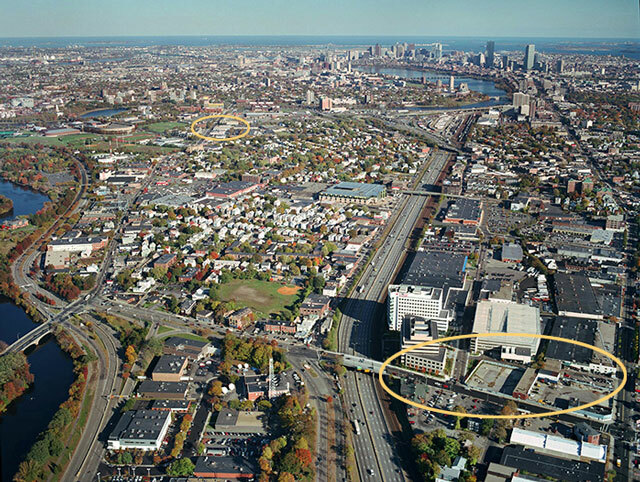 The ariel photo shows our old location behind the Harvard Business School, and the new location in the foreground along Market Street in Brighton. 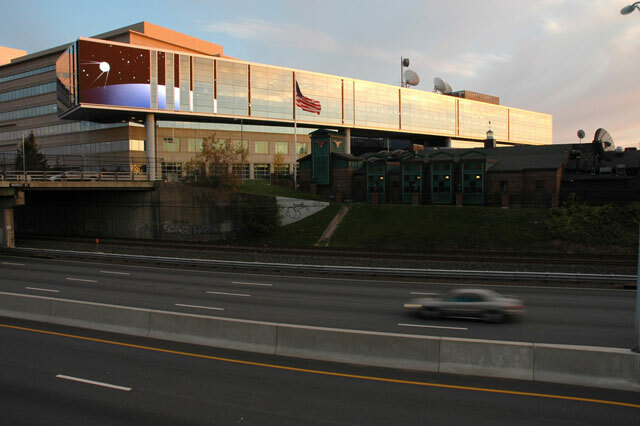 Because of our new visibility along the Mass Pike (500,000 cars a week go by west to east on the way into Boston) we wanted the new building, through its form or its behavior, to express what we did there. 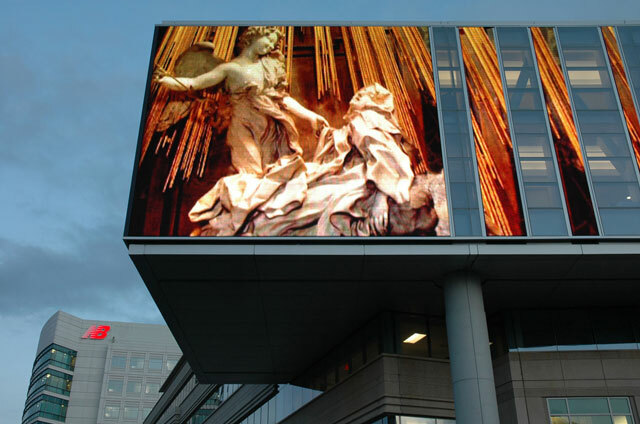 The design of the large digital mural that steps down the façade of the building, and the process of determining its editorial content and behavior, was one of the most fascinating design problems I have ever encountered. 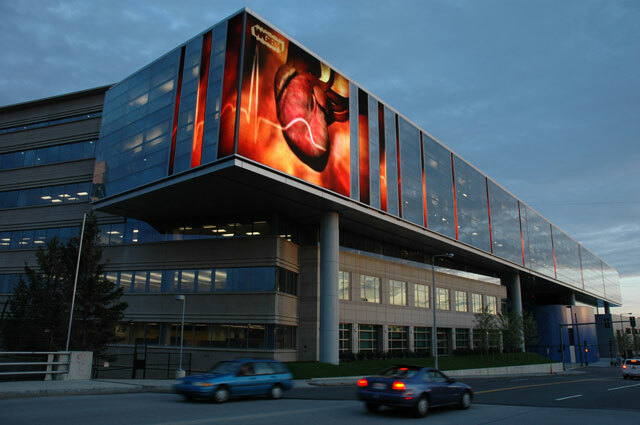 Our ultimate decision: one image a day, drawn from the content leaving our building on tv, radio or the internet, striking in its own right and not promotional in tone, largely static, and no words (except for a modest WGBH logo). 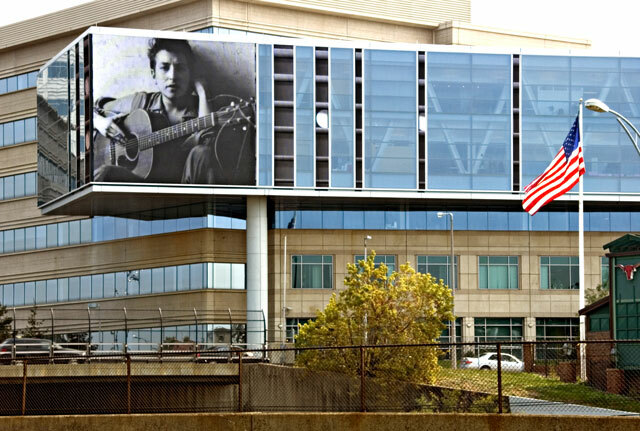 Here is a small sample of the kinds of images that drivers see every day.